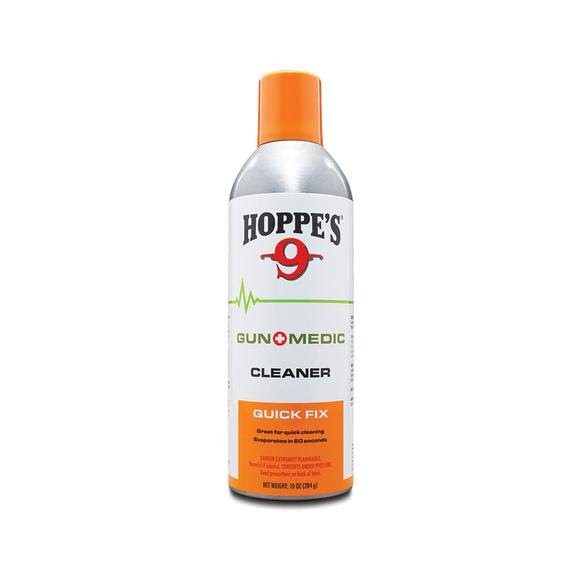 Hoppe's Gun Medic cleansing formula quickly cleans the actions of firearms. Great for a quick clean when you don't have time for the deep clean. Hoppe&apos;s Gun Medic cleansing formula quickly cleans the actions of firearms. Great for a quick clean when you don&apos;t have time for the deep clean.